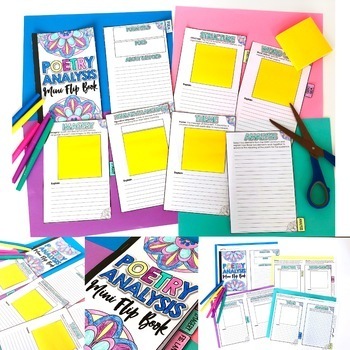 Make poetry analysis more engaging, hands-on, and fun with this sticky note mini flip book. This project is ideal to complete as you read and after you read any poem. 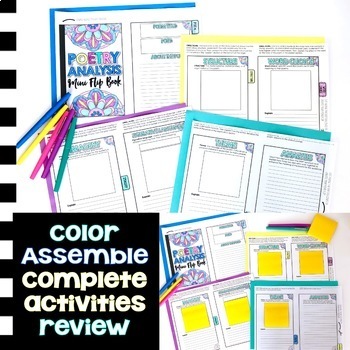 Students work on pages within the workbook to identify, quote, and explain various poetic devices and elements. 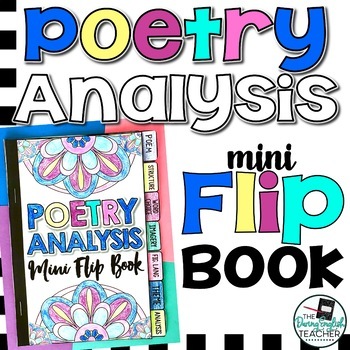 This mini flip book includes 7 tabs to help students rhetorically analyze text: about the poem, structure, word choice (and tone), imagery, figurative language, theme, and analysis. 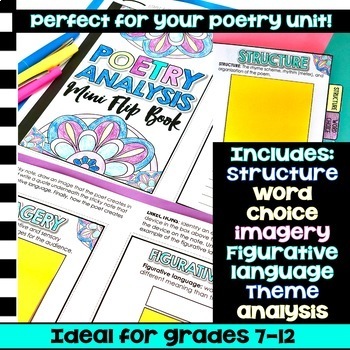 This resource is for use with one poem. This file comes as a secure PDF that cannot be edited or altered.